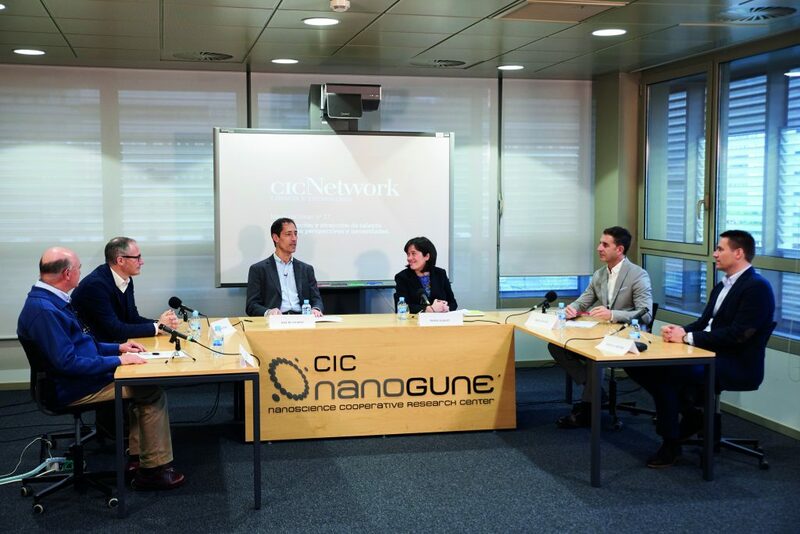 Last July, the headquarters of CIC nanoGUNE was the venue for a round table where prestigious professionals from different Basque organizations expressed their opinion about research and the attraction of talent to the Basque Country from different points of view and needs. The participants in the debate, moderated by the general manager of CIC nanoGUNE, José María Pitarke, included Nuria Gisbert, general manager of CIC energiGUNE; Miguel Angel Arocena, manager of the Basque Center on Cognition, Brain, and Language (BCBL); Iñigo Atxutegi, manager of Ikerbasque, Jesús María Rodríguez, general manager of AEG Power Solutions until 2016 and Ivan Jimenez, managing director of Bizkaia Talent. The aim of the roundtable was to discuss about talent attraction, from the point of view of both research as well as business, and learn about the various perspectives and needs. One of the pillars of present and future competitiveness in a globalized world is talent attraction and retention. 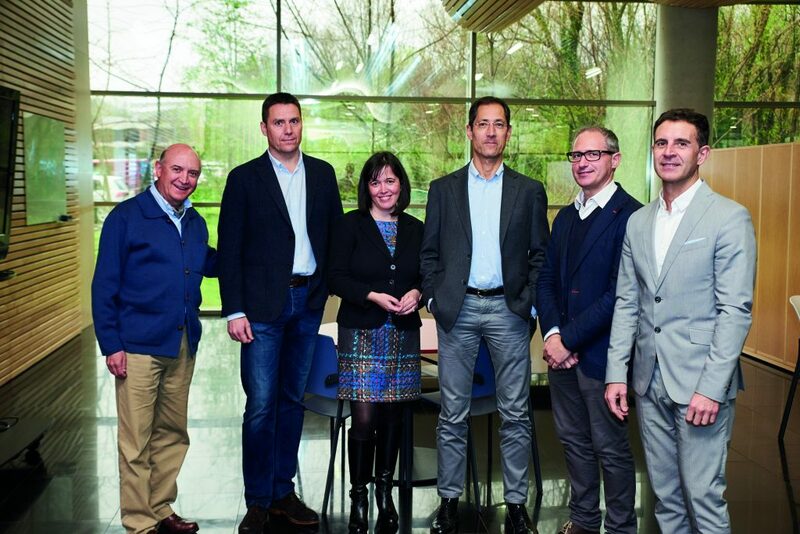 Being aware of this need, the Basque Country has launched projects such as Ikerbasque, Bizkaia Talent and also, more recently, Gipuzkoa Talent. And it is not only these initiatives. At universities, research centres and some companies there is a conviction that talent is everywhere in the world and that we have to compete for it by attracting those who are abroad and retaining those we have here or those who have trained with us. “At universities and research centres we have focused on research talent and, in addition to research talent, another type of talent may also have been important in the companies”, the General Manager of CIC nanoGUNE said. Among the various interventions, Ivan Jimenez pointed out that “experts say that talent is a combination of two issues: attitude and aptitude. Aptitude is what is achieved through training”. “Attitude is usually what makes the difference, especially nowadays, with longer degrees and increasingly important continuous training. For me talent is a combination of these two factors”, he added. A statement which was reinforced by the manager of Ikerbasque, Iñigo Atxutegi, who stated that “when, in the last decades, we have placed an emphasis on investing in talent, we are talking about the relevance of people over other kinds of resources such as equipment or infrastructures. We are convinced that what makes the difference is having the adequate people to push research projects forward. Likewise, in response to the questions posed by the moderator, Jimenez explained how talent “looks for a specific place which, rather than quality of life, has what we nowadays call a standard of living: the day-to-day dynamics these talented people will have when they go to a certain place”. With regard to the near future, Jimenez announced that we are heading for more individual working relationships where assessment is made through targets, but he mentioned that the Basque Country is at a disadvantage on this point with regard to other places which have large companies which act as a driving force and, besides, are connected with the technology centres. “We have a big challenge ahead of us as a country. “It is not a matter of retaining talent, but of bringing and connecting it. We also have the challenge of becoming a reference in Europe. We have to make an effort to carry out a concentration by sectors somewhere in order to keep attracting talent. After all, talent attracts talent”, Ivan Jimenez concluded.